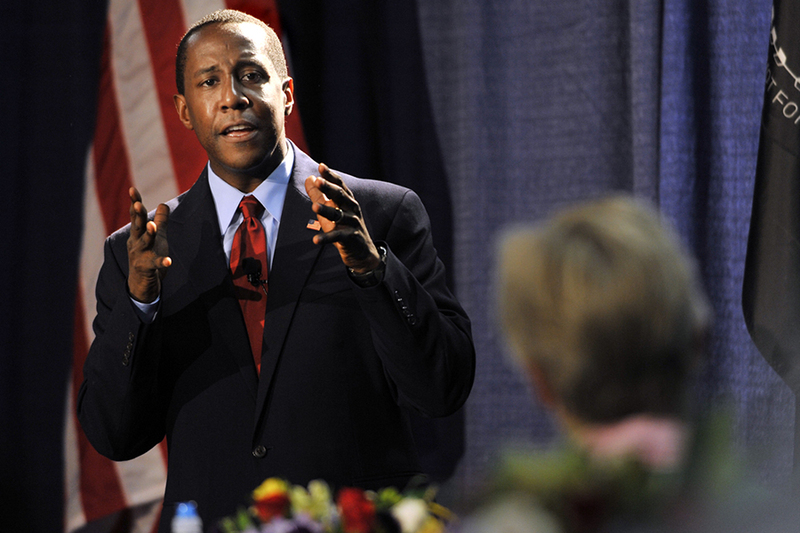 In a surprising move, former Newton mayor Setti Warren ended his gubernatorial campaign, citing a lack of resources in an email sent to supporters on Thursday morning. According to the state Office of Campaign and Political Finance, the Warren campaign has $51,644 in its war chest, in comparison to incumbent Gov. Charlie Baker who has nearly $7.9 million. Warren’s exit leaves two Democrats—Jay Gonzalez, who worked in former Gov. Deval Patrick’s administration, and the activist and entrepreneur Robert Massie—left to jostle for the party’s endorsement. A March poll from WBUR found 75 percent of voters had never heard of Gonzalez, and 62 percent were unaware of Massie. The same poll found 70 percent of voters had not heard of Warren. Challenging Baker is no small task, as the governor has consistently out-fundraised his opponents in the early stages of the race and has enjoyed strong approval ratings during his tenure in the State House. Earlier this month, Baker was yet again named America’s most popular governor, tallying at 71 percent approval rating during the first quarter of 2018, according to Morning Consult. Warren had pitched himself as a bold, progressive alternative to the decidedly moderate Baker, who has kept the rhetoric and divisive policies set forth by the national leaders of his party at arm’s length while staking his claim to the middle of the road. The Democratic primary will be held on September 4, ahead of the general election on November 6.